These offset clamps are on every bike built by NLR, DME and many other top builders in the industry. Safety is of the utmost concern so we have made our clamps with a smaller bore size which requires the fork tubes to be machined down. This allows the forks to travel into the clamps and always ensures a hard grip by all pinch bolts. On a lot of clamps they do not do this and the bottom clamp assembly rides onto the reduced dimension of the fork tube only allowing 1 pinch bolt to actually hold the tube on the bottom clamp. Beautiful machine work in combination with engineered stability and proven performance! The worlds quickest drag radial bikes use these clamps! The stem uses a early model GSXR1000 stem nut or Hayabusa stem nut! These clamps areCNCmachined and solidworks designed. 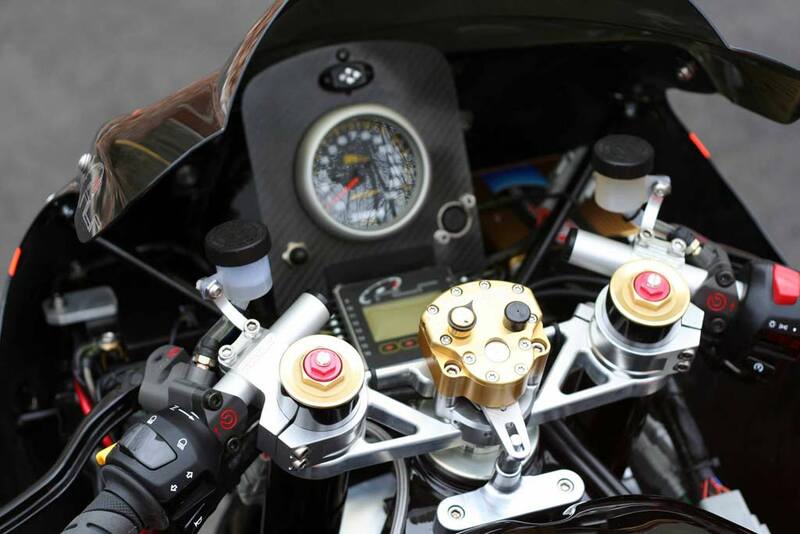 We offer clamps that are legal for the AMA DRAGBIKE and MIROCK series. For those who need to be between a 1/2 and 1 inch offset you now have the ability to maximize your set up! 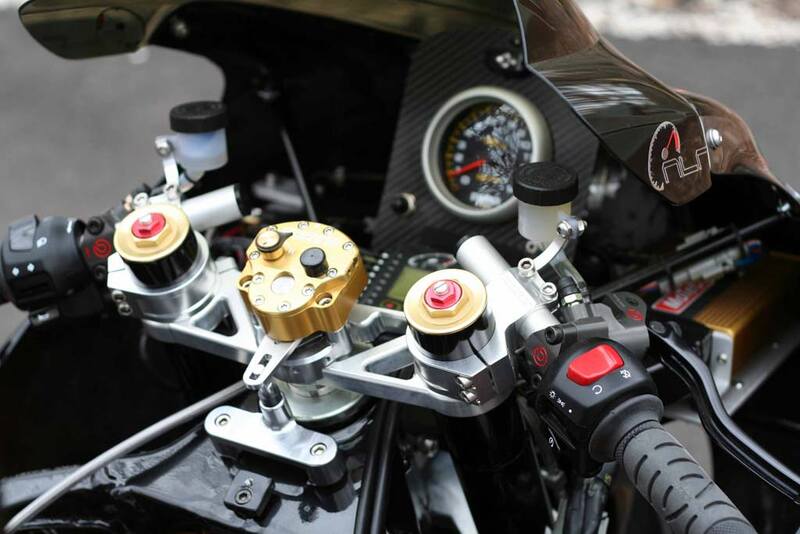 These are the same offset clamps used by the quickest Prosport bikes in the world . NLR backed Jason Miller and D.M.E Racing both of which have dropped jaws with their insane record breaking ET's at every point of the track! You must use GSXR1000 fork tubes with these clamps. The stem uses a early model gsxr1000 stem nut or Hayabusa stem nut! These clamps are CNC machined and solid works designed. We offer clamps that are legal for the AMA PROSTAR and MIROCK series. For those who want to use our rear mount radiator setup can take advantage of this chromoly tig welded subframe. 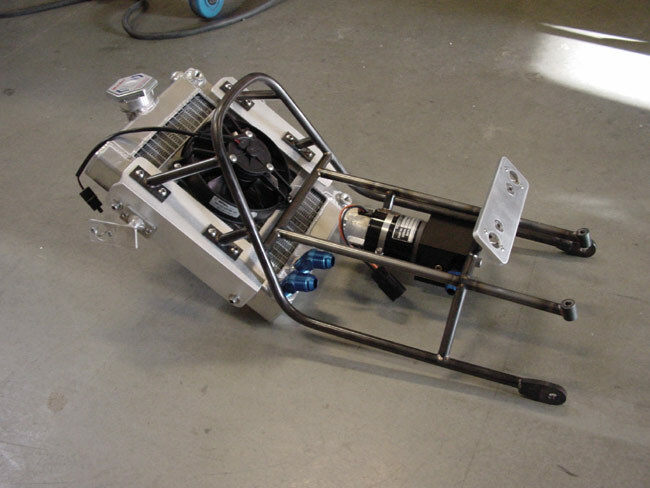 This is for cut seat rail chassis and uses our Pro street tail section.